The common candidate at the recent presidential election, Maitreepala Sirisena, zoomed to power with the slogan of ‘yaha palanaya’, focusing mainly on the theme of eradicating bribery and corruption with a sincere promise to bring all those offenders to book, irrespective of their position or power. With this he managed to stimulate the public awareness to an unprecedented level. Consequently, many people have come forward with numerous allegations against fifty odd prominent politicians and two thousand five hundred approximately other complaints against officials of the previous regime. This particular area of ‘bribery and corruption’ reached a precipitating platform where the television news became somewhat of an entertainment for the TV viewing public. Nearly 30 days have lapsed out of the promised 100 days, yet the public who voted for the new regime is able to see only a television display of people walking up to the Bribery Commissioner’s office with files and folders in their hand and talking to the press in front of cameras against those prominent personalities whom they had lodged complaints against. In such a back drop prominent names of the previous administration, that nurtured drug dealers, politicians and a high ranking police official linked to a well known Sri Lankan drug barren named ‘Wele Suda’, alleged to be the main international king pin who is now in custody, have been officially disclosed. What the impatient voters say is that the ‘time clock is ticking away fast, while action expected from the new government is only moving at snail’s pace; the end of the promised one hundred days to bring such brutes to book is round the corner! Many are baffled by the fact as to why the ‘yaha palakayas’ are pussyfooting in their rapid action to frame all reprobates? Is it due to either a lackadaisical approach by some officials of the previous administration who still occupy powerful hot chairs and purposely twiddling their thumbs, or are they up to some monkey pranks purposely to bring disrepute the new interim regime? However, looking at the problem objectively, it appears there are two schools of thought surrounding this dilemma. On the one hand, the government claims that they do not have proper, adequate and effective tools to deal with the issue until such time various amendments are made to the existing Laws through Parliament, which they hope to do so soon! On the other hand those who worked hard and helped to oust the old regime, such as the JVP and the Hela Urumaya, have started to raise their voice with subtle warnings of having to follow the same path as they did to oust the old regime if the promises made to the public are not fulfilled swiftly to punish the guilty who were misusing power, engaged in bribery and corruption and hoarded wealth by plundering the nation’s wealth. In such a scenario it is crystal clear that a red warning light has begun to flash out of the general public as well as the prominent Buddhist clergy who were directly involved in helping the ‘common candidate’ to oust the previous President in a miraculous manner. 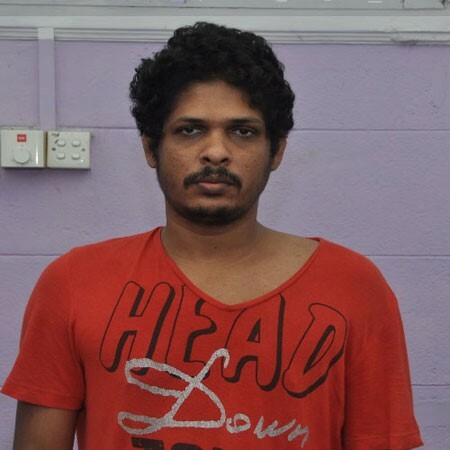 According to the police media spokesman, Senior SSP, Ajith Rohana in a recent ‘Jana Handa programme’ too highlighted the fact that according to the existing laws in the country police is able to take any suspect into custody only for a few days, and in the case of a drug offence the maximum days a suspect could be detained in a police cell is limited to 7 days, after which the suspect needs to be referred to a magistrate’s court where a lawyer could bail out the alleged suspect. According to the Police, Wele Suda’s case is akin to ‘conquering the proverbial ‘Mount Everest’, as detectives having to encounter number of ‘snow patches’ that keep on covering ‘the Everest’ during their attempt to climb to the peak’. It is, however, apparent now with the findings so far the police have extracted out of Wele Suda, there has been a well organised network of elite people in Sri Lanka who were linked to his international drug operation which had been meticulously programmed concealing every possible loophole or grey area that might get exposed to during a common raid. The other vital factor appears to be that Wele Suda is only a witness who will help to netting other criminals in the whole chain of criminals, and while the Police having to go by only Wele Suda’s self confession, a lot of ground work needs doing by probing into other areas such as contacting foreign bank accounts of all those involved etc. To extract such intricate details takes time to formulate a solid case before any prosecution, but the police have assured that without mercy perpetrators will be brought to book once the investigations are complete. So this assurance will at least assist to simmer down the frothing emotions of the impatient public. With regard to the accusations made by the lamenters of the previous regime that ‘the whole bribery and corruption issue has been turned into a television entertainment’ and thereby making an issue of accusing and questioning the meaning of the word ‘yaha palanaya’, decriers have a different view point when they say that the freedom of speech is freely available now unlike in the past where even the ministers of the old regime were kept under an iron boot and forced to suppress their frustrations. In such a freedom it is natural not only the public, government officials and even some of the ministers of the old regime coming out with what they have to expose, which they could not do so for decades, and now that the access to the Bribery Commission is open for them to get their frustrations out and lodge complaints with dossiers of documents which they carry and display on TV screens. By the same token we have heard the Bribery Commissioner crying out his inability to deal with the vast number of complaints received within such a short space of time due to a total inadequacy of staff and resources to deal with all the complaints at rocket speed. However, the latest news at the time this article is written is that the government media spokesman, Minister Dr. Rajitha Senratne’s pronunciation about appointing a new Director General to the Bribery Commission with immediate effect. The other accusation from those who oppose to such TV revelations is that by displaying scenes of that nature on TV, those ‘alleged victims’ are already made guilty of such malpractices in the eyes of the public which is unethical and wrong. But, should the commonsense prevail, it will only go to show that the degree of malpractices and bribe taking that has occurred in the past decade or so among many politicians as well as some of the government officials have been ascended to such levels that some sprats, once upon a time, have grown up to be Throras (millionaires and billionaires), which needs to be accounted for. Only for that reason and to be fair by the public that a process of enquiry has been set up to let them prove their innocence. After all they have been elected by the people to serve the public and not to plunder public money and if there are complaints about their wealth then they should be subjected to give cause and prove what they have accumulated in the form of wealth and property (and also whether due taxes have been paid to the government) are clean and clear funds. If one is honest, pure and has a clear conscience, then no one needs to develop any anxieties or suffer from fear psychosis; by the same token it can be argued that ‘there is no smoke without fire! A certain media spokesman for a particular political party which was aligned to the previous regime is constantly seen rattling during media sessions to defend the guilty and accuse the state machinery for dealing with a person who has committed a criminal offence (altering the date of birth and obtaining a passport for overseas travel thus abusing the power of her ex-minister husband. Many who are supportive of the actions taken by the interim management of Sri Lanka to fulfill this task of eradicating bribery and corruption and to punish those who were guilty of plundering government wealth say the best and the fastest way to accomplish this task is by appointing an independent panel of reputable, and honest professionals (preferably retired judges and senior police officials, who are familiar with the law) and given them the green light to go hammer and tongs to bring the guilty to book, before a general election in the very near future. IT IS THE BREEDING SEASON FOR ****COMMITTEES****—–KAMITU. Has anybody got any statistics of the number of ‘KAMITUS’ FORMED SO FAR. ? HOW MUCH ONE “”KAMITU”” COST THE SRILANKAN TAX PAYER. I FERVANTLY BELIEVE THIS IS AN UN-EMPLOYMENT EXCHANGE THAT IS APPOINTING THESE ***KAMITU***AND EACH **KAMITU**IS COMPOSED OF THE APPOINTEES FRIENDS AND OR RELATIONS. CAN SOMEBODY DO THE RESEARCH AND ADVICE. ? What is happening is trial by media, not investigations! It is just like the accusations that PaCha Ranawaka made before the PE. This statement is the same as the Finance Minister, who has been indicted in a court in connection with money laundering, saying that GR, who is not charged in a court of law, has to declare his assets. An accused does not have to prove anything. It is the accuser who has to prove that the accused is guilty as charged. The JVP, in preparation for the GE in the meantime, is trying desperately to distance themselves from the current govt they helped to bring about. They may succeed to convince their supporters but not all the voters who believed their lies at the PE. It is up to the party organisers to continue educating the voters right up to the GE, so that the voters will remember that they were fed with diabolical lies and gross exaggerations at the PE. This entry was posted on Friday, February 20th, 2015. You can follow any responses to this entry through the RSS 2.0 feed. You can skip to the end and leave a response.